Amboise is set upon the southern bank of the Loire and is overlooked by an inspiring 15th-century château. 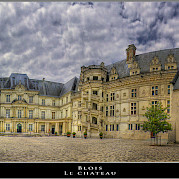 This was the childhood home of Charles VIII and the final resting place of the great Leonardo da Vinci, who, as a guest of the king, came to Château Amboise in December 1515 and lived and worked in the nearby Clos Lucé. From your hotel, you will be able to cycle to the various Touraine Vineyards and discover many treasures of history, architecture, and culture each day. We have many other bike tours in France or the Loire Valley for you to explore! Trailer bikes, tandems, children bikes, and baby seat available. Please ask. Fly to Paris Charles de Gaulle International Airport. You will have a couple of options to travel from the airport to Amboise. You can take the TGV from the airport to St. Pierre des Corps, transfer and then take the express regional train to Amboise. You can also take a train via Paris Austerlitz to Amboise. Be sure to research local travel before your tour and note that TGV tickets require advance reservations. Please check local conditions before arrival. A good website to use for average high/low temperatures and average rainfall is weatherbase.com. Once you have crossed the forest of Amboise, you will come to the famous Château de Chenonceau, uniquely built over the Cher River. 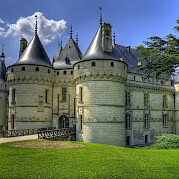 Nicknamed the Ladies Castle and once the residence of Catherine de’ Medici, it was the scene of a famous rivalry in French history between her and Diane de Poitiers, mistress of the king. It is France history at its best; passionate, scandalous, and torrid. 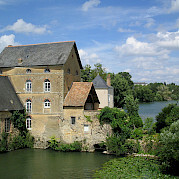 Upon the death of King Henry II, Catherine banned Diane from Chenonceau, sentencing her to live out the rest of her days in obscurity at a castle in Anet. This cycling excursion follows the meandering country roads to the banks of the Loire in Chaumont-sur-Loire, whose 15th-century château proudly dominates the town and the river. The "Festival des Jardins" (garden festival ) is held between late May and mid-October, showcasing the art of gardening with new flower arrangements, garden sculptures, and innovation in design. This route leads away from the banks of the Loire to reach the picturesque Vouvray vineyards, surrounded by troglodyte houses, dwellings dug into the slopes and rock faces of the landscape. 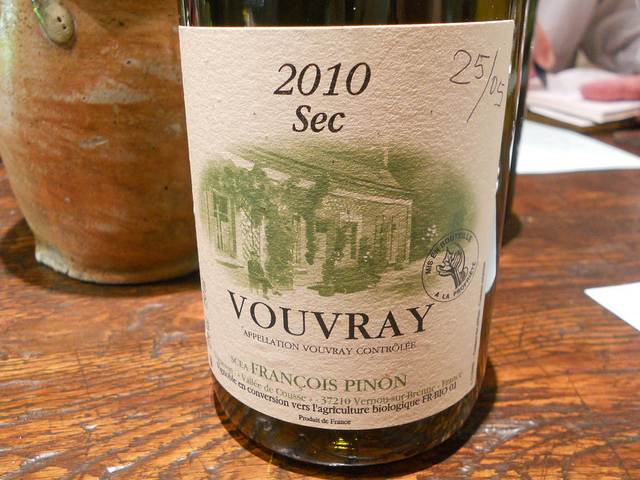 The region is famous for its fine and elegant white wines. You will cycle pass superb Renaissance private châteaux such as Château de Valmer (remarkable for its Italian and vegetable gardens), and the beautiful Château de Jallanges as well. 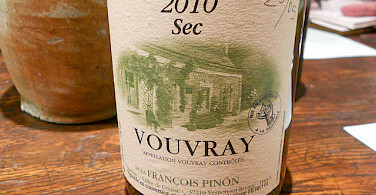 Be sure to stop for a visit to a local wine producer to sample a glass of Vouvray wine! Think about booking the Chateaux Package! See pricing. View all our featured bike trips, specials, and news along with 100s of other other bike tours in Europe. 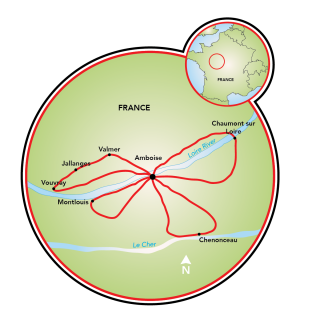 This tour is run by Loire Valley Travel.